Happy New Year to all, Happy Old New Year, as one says on January 14th 2018, in the Balkans. It’s been a great Christmas time the weather was unbelievably warm, almost 15 degrees C. We had lunch out today, being the 12th January, at the ‘Papagaj’ in Bijela, opposite Lustica. 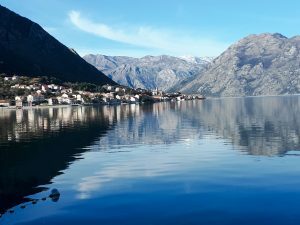 This entry was posted in eco tourism, energy efficiency, Mediterranean Climate, Orthodox culture, season, sustainability, Uncategorized, Unesco Boka Bay, winter and tagged winter by Anke. Bookmark the permalink.